The Patagonia Snap-Dry Hoody is built for warmth, comfort and freedom of movement in cool and windy conditions. This technical fishing hoody has a stretchy and durable face with lightweight, fast-wicking insulation in the body and hood. 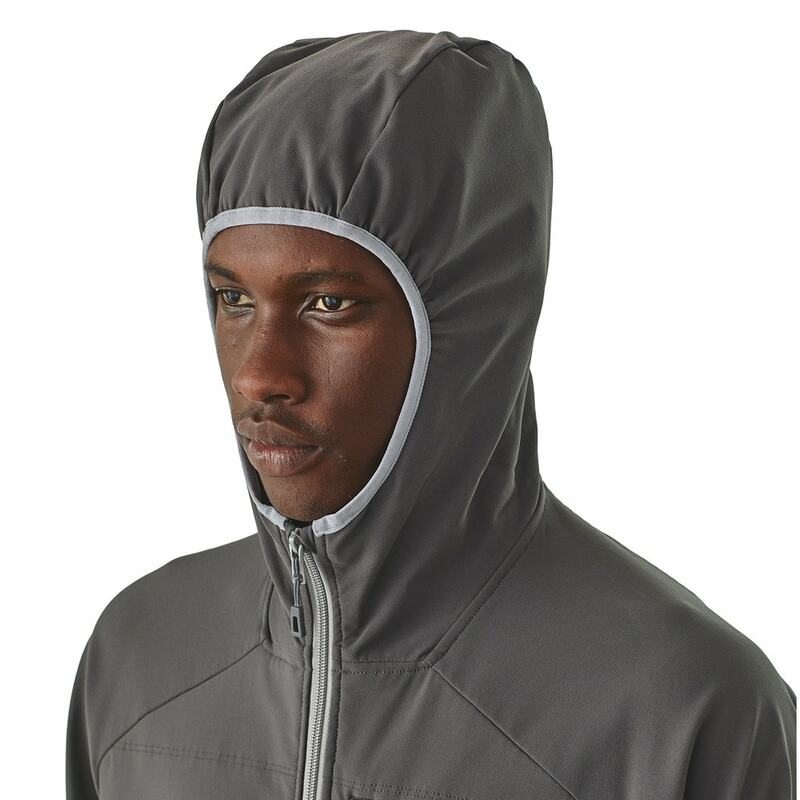 Combining warmth, comfort and freedom of movement, it has a lightweight but durable 6.8-oz 63% nylon/26% polyester/11% spandex face, with built-in four-way stretch and a moisture-shedding DWR (durable water repellent) finish. 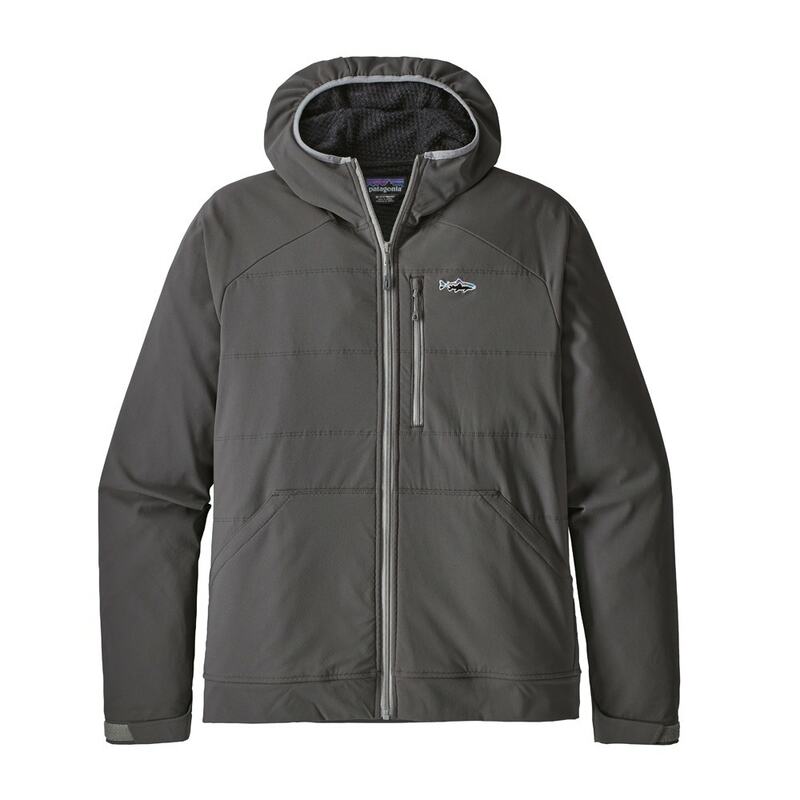 Worn as an outer layer or as a mid layer under a wading jacket in wet weather, the Snap-Dry has a full front zip and fast-wicking 100% polyester tricot insulated lining in the body and hood for a touch of extra warmth. When the wind picks up, the generously sized hood fits easily over a baseball cap for additional protection. The zippered vertical-entry pocket on the left chest is sized to hold a fly box, and has an easy-access zipper; two large handwarmer pockets are set on the lower front. The wrist cuffs have adjustable hook-and-loop closures to keep them securely in place and out of the way of your line.